CoNetrix has met all the requirements for certification to sell Citrix products including NetScaler, ShareFile and XenApp Services. Achieving this certified status means CoNetrix can take advantage of the program benefits of Citrix that enables mobility through the secure delivery of apps and data to devices on any network. About CoNetrix: CoNetrix is a full-service information security and technology consulting company with roots dating back to 1977. CoNetrix provides a variety of technology and security services and solutions including: network consulting, managed services, secure cloud hosting, security testing, and online security and compliance software. Since 2009, Tandem Business Continuity Plan (BCP) has provided financial institutions with an online platform for building and maintaining a compliant and disaster-ready business continuity plan. Now, the Tandem App delivers the ability to access the BCP from any mobile device. The app provides easy access to download the full plan and any pertinent emergency checklists and instruction manuals designed by the institution. In addition to the downloadable documents, the app provides quick access to employee and vendor contact information right on the screen. The app also expands capabilities for emergency alerts as administrators can initiate alerts to contact employees via email, phone call, text, or a mobile notification within the app. The app is free to use by institutions who subscribe to Tandem. The app functions on any mobile device (phone, tablet) on most operating systems (iOS, Android). The app is useful for any kind of business interruption. App features coordinate with user roles so all employees can use it for receiving notifications, while higher roles can use it to access important documentation. 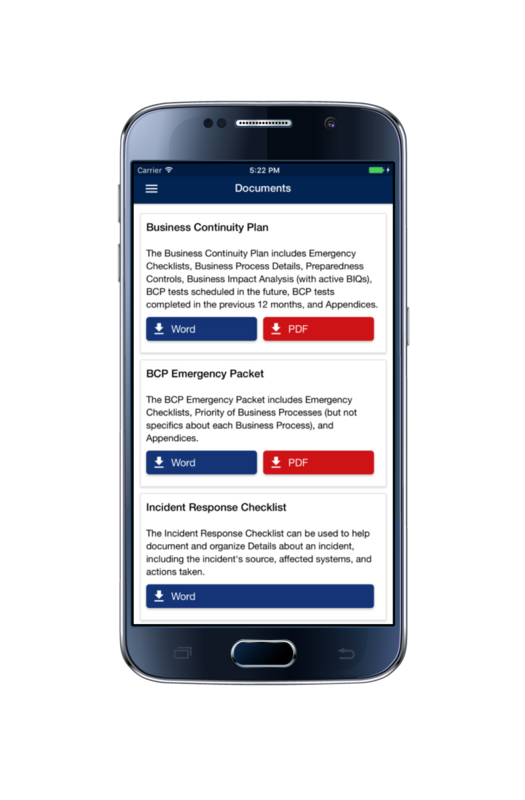 The Tandem App is free in the iTunes App Store or the Google Play Store, usable by anyone currently subscribed to the Tandem Business Continuity Plan module. Tandem by CoNetrix is an online software suite of tools used by 1,300 financial institutions in all 50 states to manage information security and compliance. Modules include: Risk Assessment, Vendor Management, Business Continuity Planning, Policies, Social Media Management, Compliance Management, Audit Management, Cybersecurity, Phishing, and more. Users can expect the Tandem App to integrate with more modules in the future. CoNetrix Technology, a division of CoNetrix, LLC, announced today the launch of a new managed security service: Network Threat Protection. This new service brings multiple layers of enterprise security into a cost-effective solution to provide broad protection for the IT environment. CoNetrix Technology’s newest service is designed to fill the needs of security-conscious companies, and businesses under regulatory guidance. The Network Threat Protection layers can be implemented separately, but provide the best overall security when deployed as a group of services. Network Threat Protection eliminates capital expenditures for security software and hardware and replaces this cost with a reasonable monthly fee. “Our goal with this new solution is to bring a complete set of managed security services to our customers and provide best of breed network protection for a constantly evolving threat environment,” emphasizes Rob Garrison, Chief Technology Officer for CoNetrix. CoNetrix is pleased to announce two candidates for consideration in the BankNews 2017 Innovative Solutions Awards. CNX Institute is a candidate for the “Consulting / Outsourcing / Training Solution.” CNX Institute, a division of CoNetrix Security, seeks to cultivate knowledge of the regulations, standards, and guidelines affecting information security in financial institutions. CNX Institute is the first to offer a certification program with a stringent, proctored exam designed to test true knowledge and understanding of industry specific information security regulations and guidelines. CoNetrix Tandem Security & Compliance Software is a candidate for the “Management / Operations / Processing Solution.” The Tandem App brings the ability to access the institution’s business continuity plan from any mobile device. The app provides easy access to download the full plan and any pertinent emergency checklists and instruction manuals designed by the institution. App features coordinate with user roles so all employees can use it for receiving notifications, while higher roles can use it to access important documentation. To read more about the entries, visit https://www.banknews.com//ISAEntries-2017. Voting began August 7 and continues until September 15. To cast your vote, visit BankNews.com or go to https://conetrix.com/vote. CoNetrix has met all requirements to maintain it's status as a Cisco Select Certified Partner. In addition, CoNetrix has met all criteria to maintain the SMB Specialization, which reflects a company’s technology and business expertise to successfully design and deploy Cisco solutions to small and medium-sized business customers. CoNetrix, LLC celebrates 40th Anniversary! Lubbock, Texas - CoNetrix, LLC, is celebrating 40 years of innovation on March 1, 2017. Now a family of four technology companies, CoNetrix employs nearly 100 remarkable people who are busy writing Enterprise Resource Planning (ERP) software; designing, managing and hosting IT systems and networks; testing and consulting to improve Information Security and Cybersecurity for financial institutions; and developing online software to help financial institutions manage Information Security compliance. CoNetrix, LLC was founded as Compu-Share in 1977. Marvin Crossnoe, one of the founders, is still active as Owner and CEO today. Compu-Share wrote business accounting software which ran on Digital Equipment Corporation (DEC) hardware. Early customers bought computer time-sharing services, which were provided via modems on telephone lines. By 1986, Compu-Share had 330 active customers, 31 employees, and a suite of accounting software offerings. The next nine years were a time of growth and then decline as the computer industry evolved to microcomputers running Microsoft operating systems. In 1995, the company began the process of rewriting the original software and moving to Microsoft Windows. In 2006, the Compu-Share company changed its name to nQativ and named its accounting and payroll software ActivityHD®. The move to Microsoft Windows in 1995 was also the beginning of CoNetrix Technology, which now provides managed IT services to hundreds of customers in Texas, New Mexico, Oklahoma, and Louisiana and offers a suite of secure cloud computing products nationwide. Advanced technical expertise opened the door to new opportunities with community banks and led to the formation of CoNetrix Security. The CoNetrix Security team now provides more than 400 information security consulting and testing engagements to financial institutions each year. These Security Programs led to the development of Tandem Security & Compliance Software®, under the name of TandemSoft, LLC. More than 20,000 users representing 1400 financial institutions currently use Tandem software to assist in managing information security and cybersecurity compliance. CoNetrix, LLC extends its humble gratitude to all of our customers, employees, and mentors who have helped to grow CoNetrix into the well-rounded technology company it is today. On Thursday, February 16th, the New York State Department of Financial Services (DFS) released the first-in-the-nation Cybersecurity Regulation to protect New York’s consumers and financial institutions against the ongoing threat of cyber-attacks. The new regulation will take effect March 1, 2017. The rule, dubbed NY CRR 500, requires banks, insurance companies, and other financial institutions regulated by the DFS to establish and maintain a cybersecurity program with minimum standards based on risk. The regulation also calls on institutions to put accountability measures in place to prevent and avoid cyber breaches. To read the regulation, visit: http://www.dfs.ny.gov/legal/regulations/adoptions/rf23-nycrr-500_cybersecurity.pdf. Industry experts believe the New York State DFS Cybersecurity Regulation is setting a precedent, and anticipate other states to follow suit. CoNetrix will be hosting a 30-minute webinar on February 28th to go over the regulation and discuss some key action items. To register visit: https://conetrix.com/Webinars/Register/2497556436420695810. CoNetrix, a leader in information security and technology, announced today it has attained the Gold Application Development and Silver Datacenter competencies from Microsoft. This signifies the 11th straight year for CoNetrix to attained the Microsoft Gold Certified Partner Status. Microsoft Gold Certified Partners represent the highest level of competence and expertise with Microsoft technologies and have the closest working relationship with Microsoft. At this level, CoNetrix has access to the resources and support needed to provide its customers with the highest level of services for Microsoft products and solutions. To earn Microsoft competencies, organizations must successfully complete a rigorous set of exams and/or assessments to prove their level of technology expertise, submit customer references to attest to their solution’s customers’ satisfaction, certify solutions by having them tested, and meet revenue commitments. 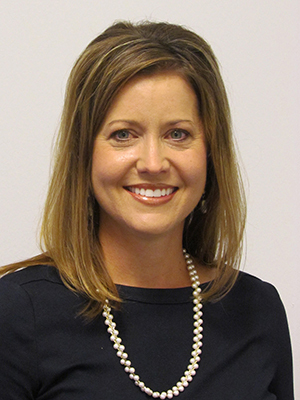 Lubbock, Texas - CoNetrix, LLC announced Tia Clary has been named as Chief Financial Officer for CoNetrix. The announcement came October 18, 2016 during a Management Team meeting. Clary has been with CoNetrix since February 2014, when she began working as Controller. Clary, a Certified Public Accountant, came to CoNetrix from Lubbock Christian University (LCU) where she was Vice President of Financial Affairs. Her career at LCU spanned 17 years. In 1997 she began work as Assistant Director of Financial Assistance. Clary’s career advanced as she was promoted to Director of Financial Assistance, Controller of LCU, Assistant Vice President and subsequently Vice President of Financial Affairs. CoNetrix, LLC is a family of technology companies. CoNetrix Technology offers managed IT services as well as a suite of secure cloud computing offerings marketed as Aspire. CoNetrix Security provides information security consulting and testing to financial institutions. Tandem Security & Compliance Software® is online software helping financial institutions comply with information security requirements and regulations. nQativ® offers a suite of accounting software (ERP) modules to companies throughout the United States and Canada. CoNetrix is excited to receive Honorable Mention for Tandem Audit Management Pro! The application was entered in the Management/Operations/Processing Solution category of the BankNews 2016 Innovative Solutions Awards. The Tandem Audit Management Pro module allows financial institutions to create work-programs and conduct any type of audit. It also assists with finding and response management for any type of audit, testing, or exam. Since December 2013, Tandem Audit Management has provided the banking industry with an online platform for entering, tracking, and responding to audits and exams. Released in November 2015, Tandem Audit Management Pro adds the ability to perform enterprise-wide management of custom audit work programs, work paper storage and downloads, creation and distribution of audit questionnaires, an online portal for audit request lists, and graphical representations of the data. Tandem Audit Management is an integrated module in Tandem, an online software suite of tools used by over 1,300 financial institutions in all 50 states to manage information security and compliance. Other modules include: Risk Assessment, Vendor Management, Business Continuity Planning, Policies, Social Media Management, Compliance Management, Cybersecurity, Phishing, and more. Winners were announced November 1st on the BankNews website, and will be highlighted in the November issue of BankNews magazine. About Tandem Security and Compliance Software: Tandem was the first comprehensive online Information Security Program software solution designed to help financial institutions create and maintain a complete program to comply with GLBA and the Interagency Guidelines Establishing Information Security Standards. While Tandem was designed as a complete solution from the ground up, it was fashioned into individual modules which allow for versatility. To learn more about the BankNews 2016 Innovative Solutions Awards winning solutions, read the BankNews announcement here.